R.A.D. Experience: SoCal Drift Series Rd 1 DVD is OUT! 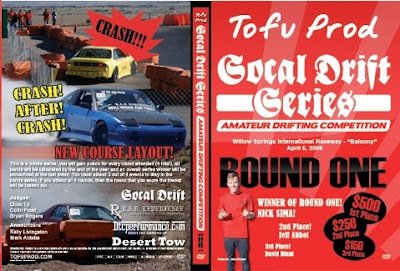 Tofu Prod will release its SoCal Drift Series Rd1 DVD on June 12!!! It's packed with drifting actions with the new RAD Experience track layout - the "R"! See California Drifting at its best!